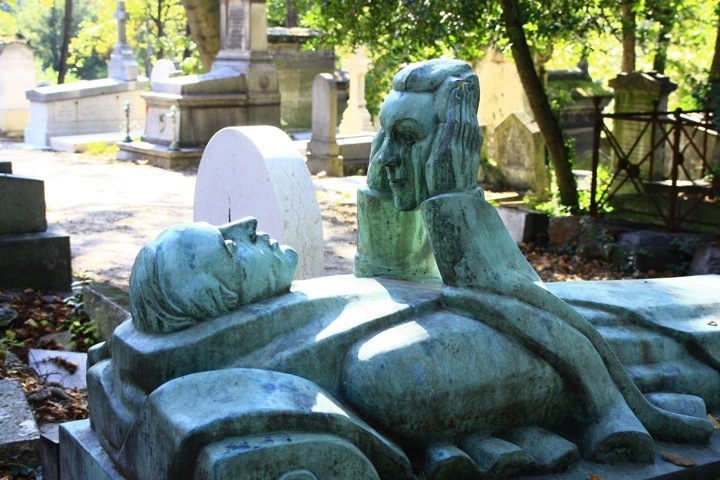 As I believe I have noted elsewhere in this online indulgence of ramblings, I have a great affection for graveyards. 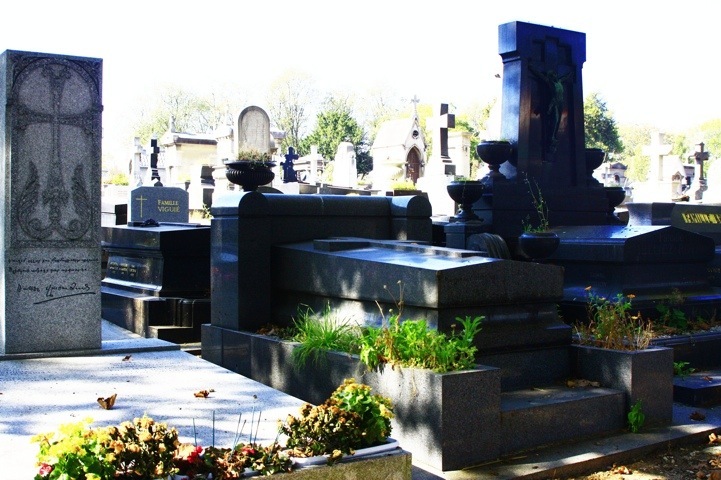 Cemetery tours — that’s how I refer to the string of resting places I visit whenever I’m back in central Canada, although I’ve visited monuments to the dead in quite a few different countries. 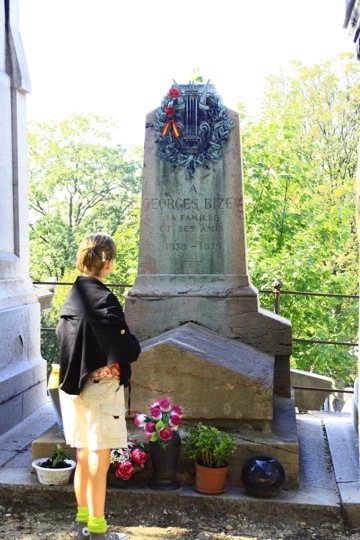 So naturally my weekend in Paris simply had to include a couple of hours in Pere Lachaise cemetery. 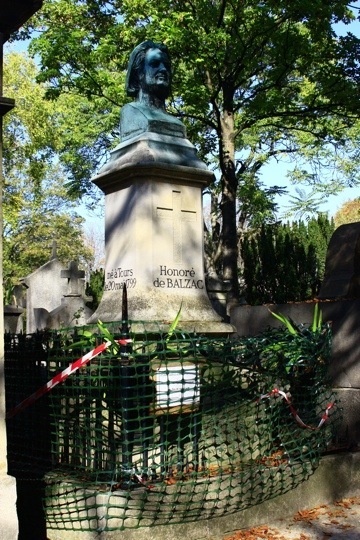 Pere Lachaise was a Jesuit priest and confessor to Louis 14th, and lived in a small house on the edge of this plot of land in the late 1600s, early 1700s. The land was bought by the city in 1804 and approved by Napolean, so they say. Outside the cemetery walls the sellers of lavender soap and miniature Eiffel towers also offer detailed maps of the graveyard, naming the little avenues delineating various sections of the 110 acres. 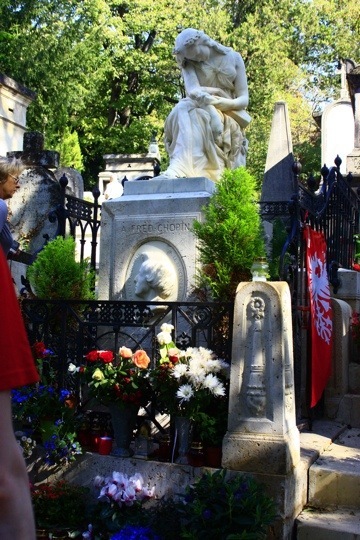 As entrance to the cemetery is free, a couple of euros spent on a map is no great hardship. The map does not list every family’s name or sepulchre but highlights several dozen in which the general public might be interested. Being that more than one million bodies sought eternal rest here, a map is a pretty good idea. 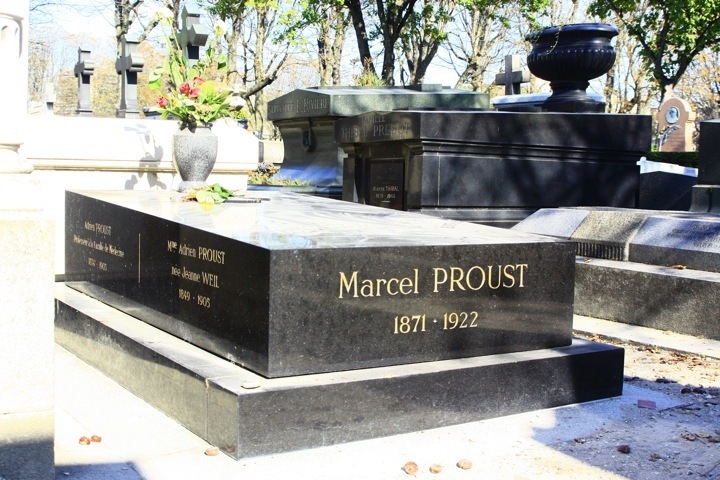 A visit to this place really is, in my case, homage to the English and philosophy professors of my youth, and to my parents who endured nearly two decades of misery as I plodded unhappily through endless music lessons (but now I’m thankful, Dad!!). I’d read a book about Jim Morrison’s raucous life and untimely end when I was living in Greenwich Village in the early 1980s. 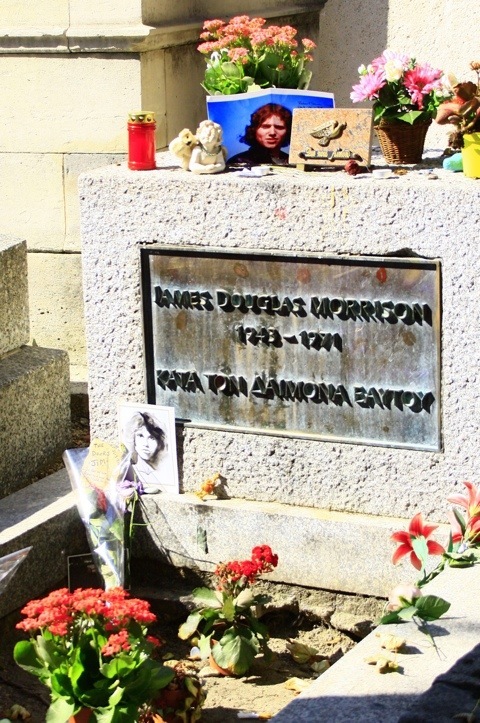 I also read about his burial (and resulting conspiracy theories) in a Paris cemetery, where his devotees light candles, splash beer and other yellow liquids on his grave, light up a few ah, cigarettes and in general pay their rock ‘n roll respects. I also read that the Parisien authorities are none too thrilled about the spray-painted arrows declaring “Jim this way” and other mourning detritus. Here lies Jim. Kind of ho-hum after all that build-up, wasn’t it? Be still my heart. Such a marvelous place. Kind of like the NY Times cartoon picturing a cocktail party in hell – full of very interesting people. Did you get to Oscar Wild? Alaister Crowley – not that one is over the top. 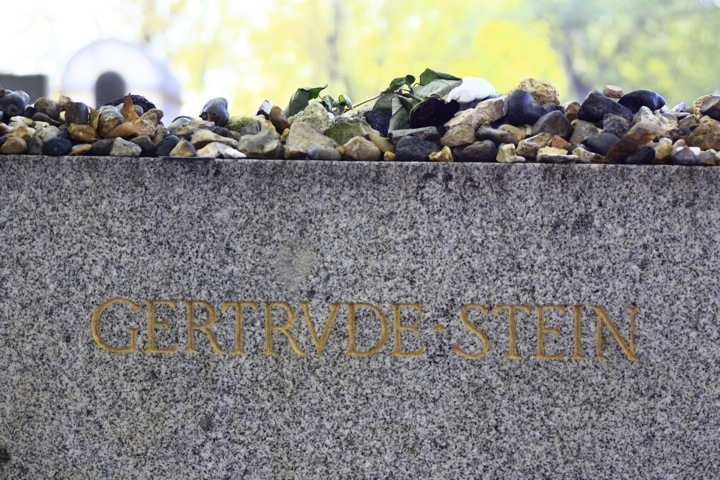 Is Alice buried beside Gertrude Stein?